Since it's inception, Twitter has been the go-to platform for social change, community engagement, and online fundraising. Twitter empowered Giving Tuesday, the largest social media fundraising campaign in the world! Large and small nonprofits are using Twitter to achieve their communications goals. Goals such as increasing brand awareness, building influencer networks, and better serving their donors and volunteers. But Twitter isn't that easy to understand for the beginner. Retweets and Hashtags seem like a foreign language, not to mention knowing how to reply properly when supporters (or haters) reply to your tweets. What are the best ways to build an influencer network? 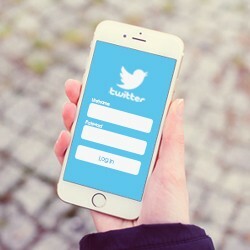 What are the best ways to increase engagement and authority throughout your Twitter network? These questions and more will be answered in Twitter Jumpstart for Nonprofits. What is Twitter and why it matters to nonprofits? “This webinar was specific and while it kept moving, it also kept a good pace for people taking notes and interacting with the speaker through questions. Valuable content for both beginners and more advanced twitter users. Thank you so much. Highly recommend." John is also the author of Facebook Marketing for Dummies and Facebook Marketing All-In-One (Wiley) and is a regular contributor to the Huffington Post, Social Media Examiner, and Social Media Today.